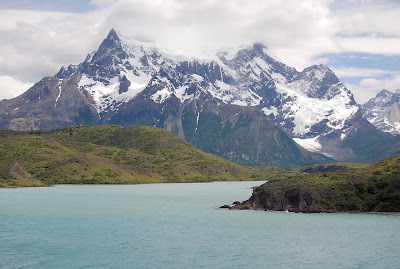 It won’t be a Happy New Year in Torres del Paine. Four days ago, a careless camper – tentatively identified as a 23-year-old Israeli - apparently started a fire that, in dry and windy conditions, has burned some 11,000 hectares in and around Lago Grey. Flaming in the vicinity of Cerro Paine Grande (pictured below), a 3,050-meter peak in the heart of both the week-long Paine Circuit and the shorter “W” route, the fire has not yet reached the size of the 2005 event set off by an equally careless Czech, which scorched 15,470 hectares. At the same time, the present fire is in an even less accessible area and, unless cooler, wetter weather intervenes, it could get worse. 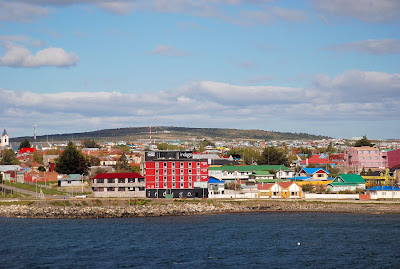 As of yesterday, according to a note from my friend Hernán Jofré, a partner in an adventure travel company in the gateway city of Puerto Natales (pictured below), “all the trekking circuits are closed, the winds are blowing more than 70 km per hour, and there’s no sign of rain.” Structures in danger include Estancia Lazo, Hotel Grey, and the Conaf’s park administration offices. Crews from Chile and Argentina are fighting the fire but, according to Hernán, the only thing that can really stop it is lots of rain for many hours. It’s encouraging that today’s forecast suggests cooler temperatures, higher humidity, and lighter winds, but tomorrow the weather’s due to clear and the winds may pick up again. 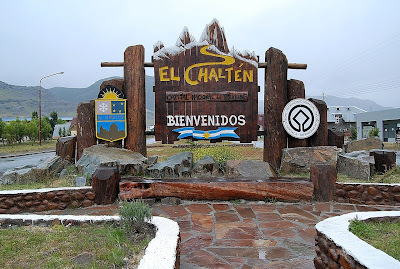 Meanwhile, all tourists have been evacuated from the park and, in Hernán’s words, it’s getting crowded in town: “Natales’s hotel capacity is at its maximum, and the tourists are changing their itineraries to go to El Calafate and El Chaltén,” across the border in Argentina. 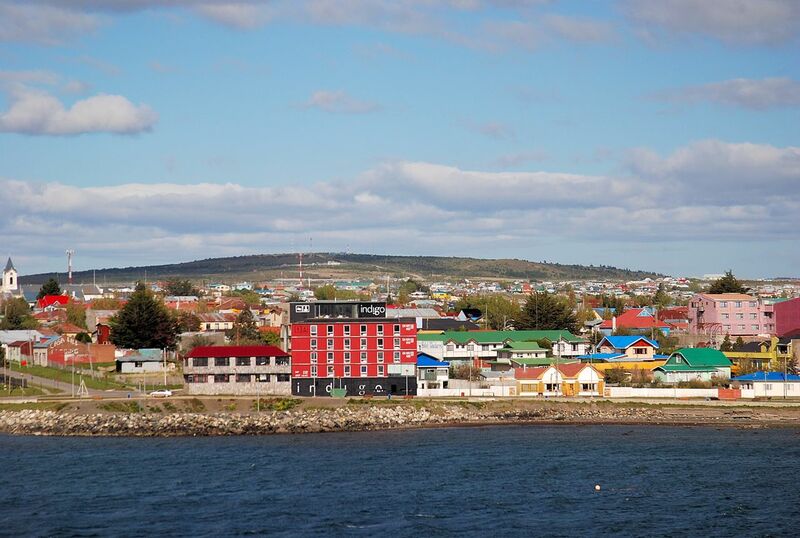 While the fire is an environmental disaster, it’s also likely to be an economic disaster for Natales and the entire Magallanes region, despite the current 100 percent hotel occupancy. 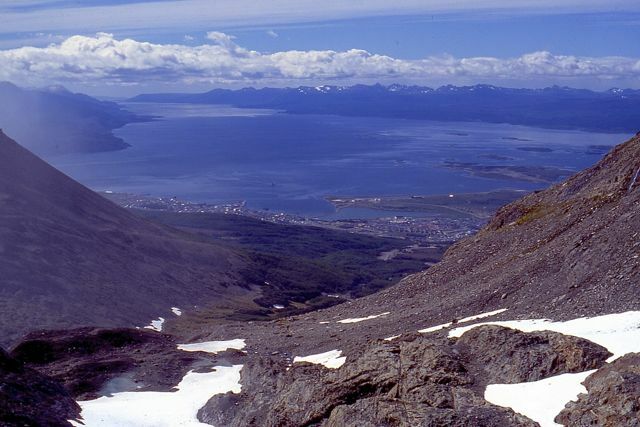 In all likelihood, may visitors will cancel their reservations or move to the Argentine side, where recreational resources are similar but, even then, this will put pressure on accommodations and other services in Parque Nacional Los Glaciares and vicinity. Despite the fire’s size, it has only burned about six percent of the park’s surface. That leaves a lot more than hasn’t burned and, until things shake out, it might be wise not to cancel reservations too soon. 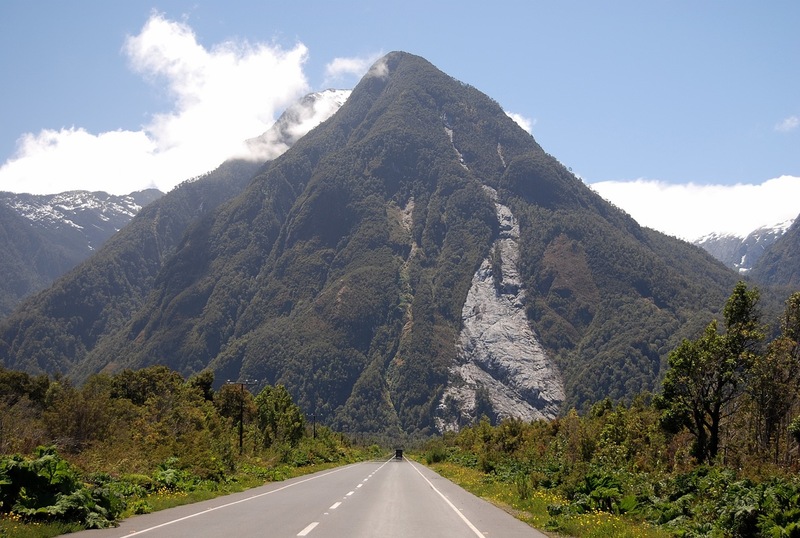 There’s a great deal to see and do even outside the park boundaries, in one of the world’s wildest and most beautiful regions. Consider, for instance, a catamaran excursion from Natales to the glaciar-filled Fiordo de la Montaña (pictured above). It won’t be in Buenos Aires bars and restaurants. As of the new year, city legislation will close a loophole that allowed restaurants and bars above a certain size to establish presumably well-ventilated areas in which nicotine junkies could indulge their habit. The sensible rationale is that such areas expose employees to toxic substances, but it will be interesting to see if the legislation includes patio spaces, where smokers have habitually lit up with impunity. 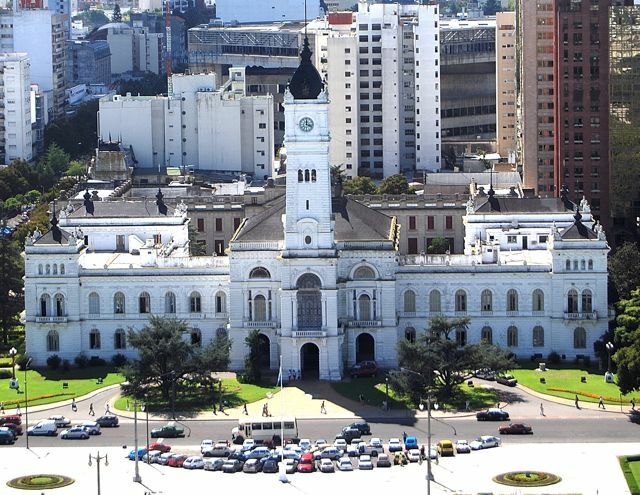 Unfortunately, surrounding Buenos Aires province, the largest political entity in the country, lags behind the city in its tobacco-control legislation. 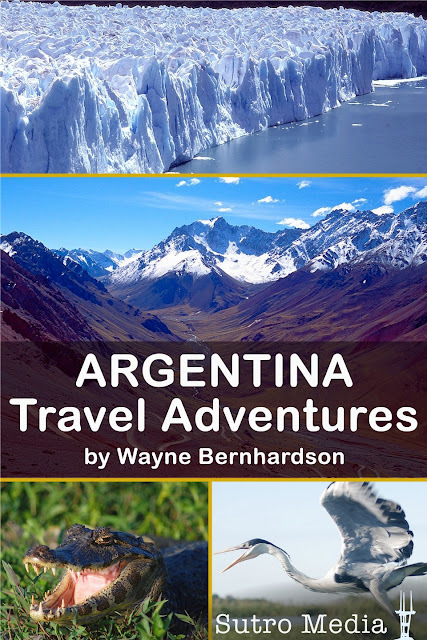 As I wrote earlier, my new Sutro Media iPhone app, Argentina Travel Adventures, is now on sale at the iTunes Store for just $2.99. Also suitable for the iPad and iPod Touch, it’s a suitable post-season gift for someone you may have overlooked – at the same time, keep your eye on this space for a possible special announcement. Meanwhile, I continue to work on a separate app for Chile, which I hope to finish by February. 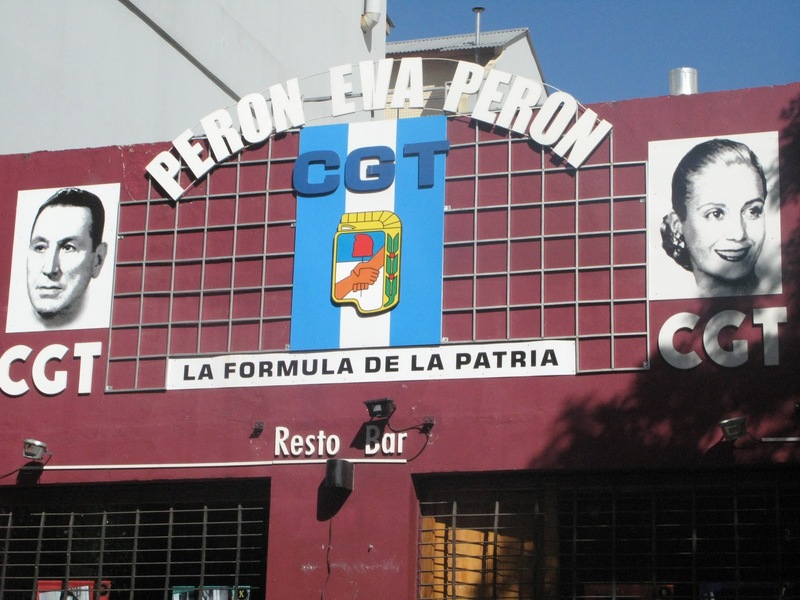 About a year ago, I briefly mentioned an improbable new trend toward “Peronist” restaurants in Buenos Aires, and the irony of it all. 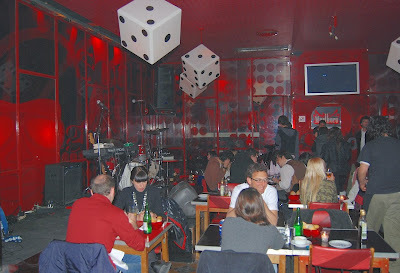 Recently I stumbled upon an article by Uki Goñi, one of Argentina’s most astute political journalists, explaining in clearer detail than I can, the irony of establishing a restaurant called Perón Perón (photograph by Manuel Massolo) in the so-called “Palermo Hollywood” neighborhood. Peronism, historically, is a populist movement built on fealty to the charismatic late General Juan Domingo Perón and his even more charismatic wife Evita. 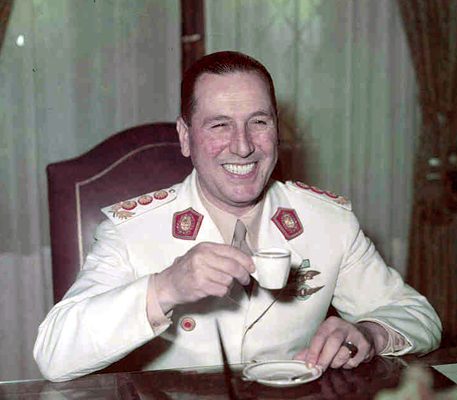 According to Goñi (with whom I have corresponded but have never met), diehard Peronists are outraged at the appropriation of their symbols in a neighborhood that they consider the domain of “gorillas.” That’s a pejorative that the Peronist throngs traditionally apply to anyone opposed to the General and his policies (although Perón was elected president three times, his truly resolute devotees insist on his military title). 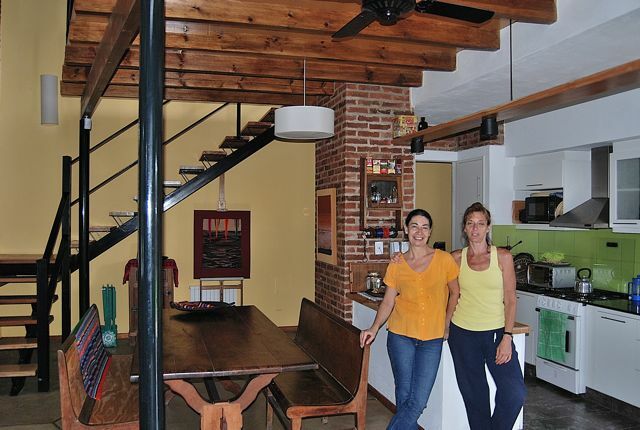 Palermo is not the only “gorilla” neighborhood indulging in Peronist chic. 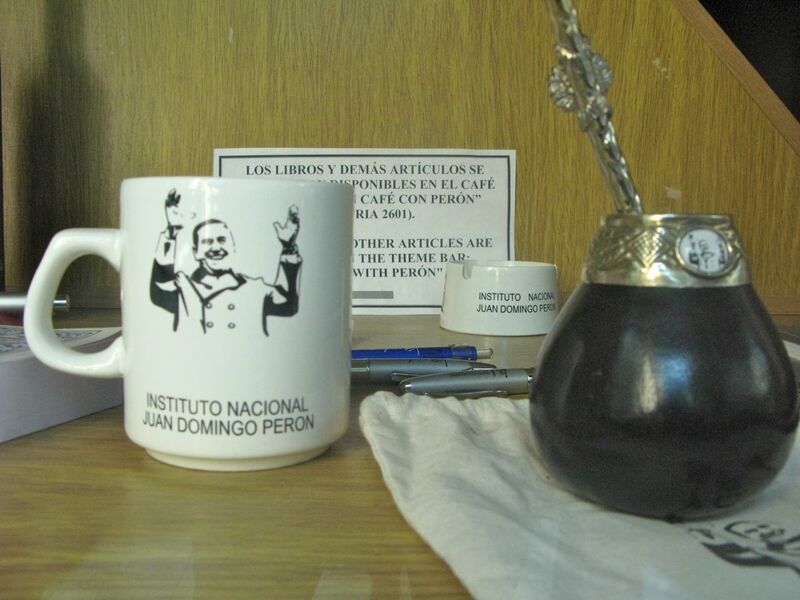 Recently, in the even more upscale Recoleta, my nephew Manuel Massolo took a look at Café con Perón, a thematic bar operated by the Instituto Nacional Juan Domingo Perón de Estudios e Investigaciones Históricas, Sociales y Políticas (yes, that’s the full title, which I cannot finish without taking another breath). Formerly the headquarters of Perón’s aides, the café has a display window full of Peronist souvenirs (photograph below by Manuel Massolo). On a Sunday, it was closed, but Manuel met a neighbor who was 15 years old when they demolished the Palacio Unzué (the former presidential palace, across the street) after the so-called “Revolución Libertadora” coup that overthrew Perón in 1955. 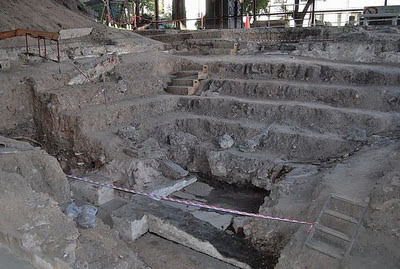 The Biblioteca Nacional (National Library) now occupies that site; some employees claim to have seen Evita’s ghost roaming the stacks. Meanwhile, in related news, the current Peronist president Cristina Fernández de Kirchner revealed that she has thyroid cancer and will take a leave of absence from the presidency, shortly after her inauguration for her second term. In announcing her health problems at the Casa Rosada, Cristina spoke with a conspicuous image of the martyred Evita – who died of cervical cancer at the age of 33 - as her backdrop. The symbolism was unmistakable, and suggests that nothing is too over the top for Argentine politics. Evita, of course, owned a luxurious apartment in Recoleta and, despite her limited success as a youthful actress, turned Argentina into her own personal Hollywood until her premature death in 1952. In the "I-couldn't-make-this-up-department," President Hugo Chávez of Venezuela has speculated that the United States has developed cancer-causing technology to use against Latin American leaders. It's true, as Chávez says, that even before Cristina Fernández's announcement, presidents Fernando Lugo of Paraguay, Dilma Rousseff of Brazil (before her election), Lula da Silva of Brazil (after finishing his term) and Chávez himself have come down with cancer. Nevertheless, this stretches the limits of credulity, as only Chávez has really contentious relations with the Colossus of the North, and all of these cancers were very different. I can only guess that Chávez's own unspecified cancer has something to do with his frontal lobes. Meanwhile, I am continuing work on a separate app for Chile, which I hope to finish by February. 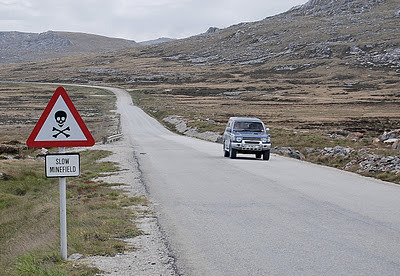 In April of 1982, an Argentine military dictatorship under General Leopoldo Galtieri invaded the British-governed Falkland Islands (known to Argentines as the Malvinas), in pursuit of a longstanding irredentist claim (perhaps more accurately, a grudge). After seventy-four days of global headlines, Argentine forces surrendered to the British counter-invasion in mid-June of that year. Since then, relations between the two countries over the Islands – whose 3,000 or so residents overwhelmingly prefer the status quo – have ranged from hostile under Argentina’s struggling junta to relatively cordial to contentious under successive civilian governments. At the moment, matters are at the contentious end of the spectrum, as Argentina has applied political pressure on Uruguay to prohibit the entrance of Falklands-flagged vessels into Montevideo and boarded Spanish-flagged vessels fishing under Falklands-issued licenses. Since declaration of an exclusive fishing zone in 1986, fishing royalties have made the Islands a prosperous place. 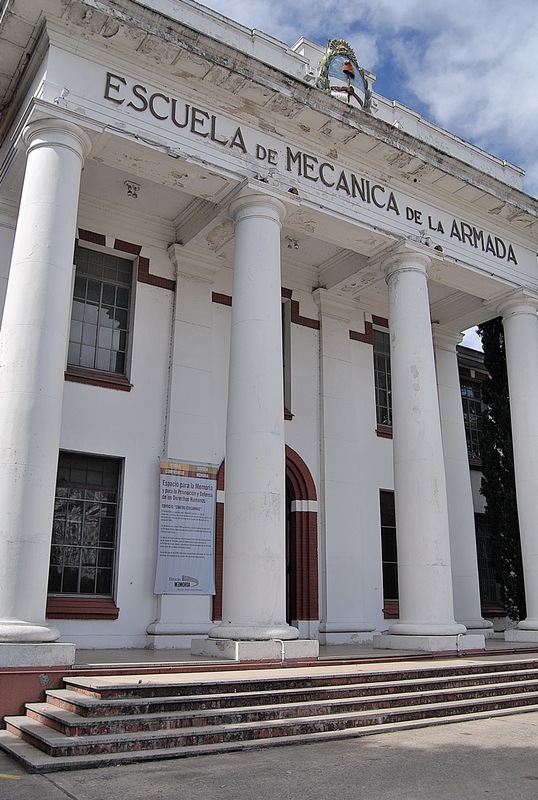 Meanwhile, as the 30th anniversary of the invasion approaches, Argentina has decided to create a Malvinas war museum at the site of the former Escuela Mecánica de la Armada (ESMA, pictured above), the naval mechanics’ school that saw some of the dictatorship’s most grotesque “Dirty War” crimes. Part of the sprawling ESMA campus, in the Buenos Aires barrio of Núñez, is presently dedicated to an Espacio Para La Memoria detailing the crimes of that regime. According to reports, however, the museum will not glorify the invasion or even mention Galtieri or any other military official. Rather, it will focus on the experience of the 10,000 soldiers – many of them teen-age conscripts from the subtropical northern provinces – who suffered in the South Atlantic cold under officers who were far more cruel than the weather. The abuse of rank-and-file combatants by their own officers got a vivid depiction in the in the outstanding movie Iluminados por el Fuego, some scenes of which were filmed in the Islands. That’s good as far as it goes, but it would be even more convincing if the museum if it acknowledged the psychological impact on the Islanders, who were outnumbered five-to-one by Argentine forces – roughly equivalent to a theoretical occupation of Argentina by the entire population of Brazil. 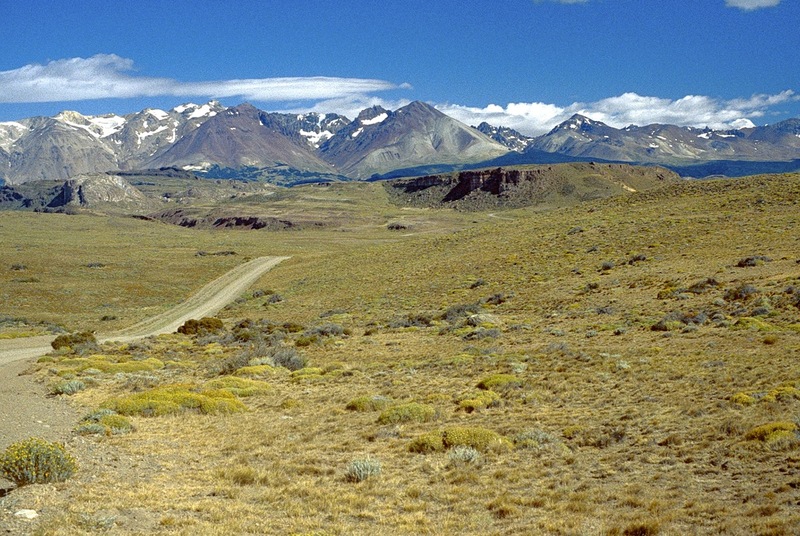 The Argentine army laid down land mines that they failed to map accurately and, even today, anti-ordnance units have been unable to remove them entirely. 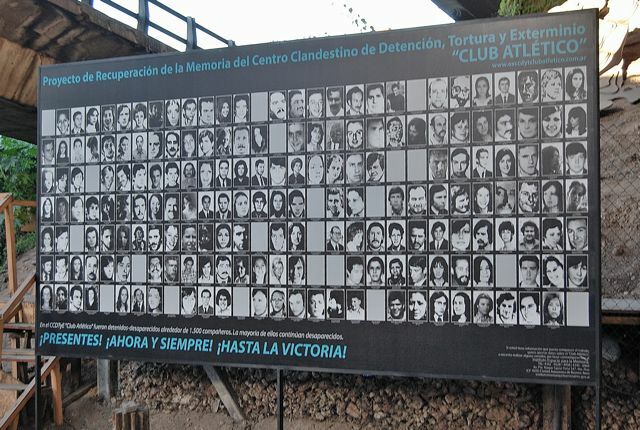 As I learned from my own experience living in the Islands during 1986-7, the Islanders bitterly resented the Argentine officers, who often threatened them. At the same time, the locals often sympathized with the poorly clad and ill-fed foot soldiers unprepared to resist the weather – and the British. In fact, one Islander even supplied us a diary written by a miserable and barely literate provincial conscript who spent days suffering in a cold, damp rock overhang with little food. On the other hand, some could make patronizingly inaccurate judgments of those same soldiers – one told me, for instance, that they were kids as young as age 15. In reality, the age of conscription was 18 in Argentina, and not everyone of that age went – my own brother-in-law, who was a 22-year-old conscript in 1982, never left his hometown of Olavarría. In fact, he continued to live with his parents for the duration. Certainly these facts are part of the story that ought to appear in any museum of the conflict. 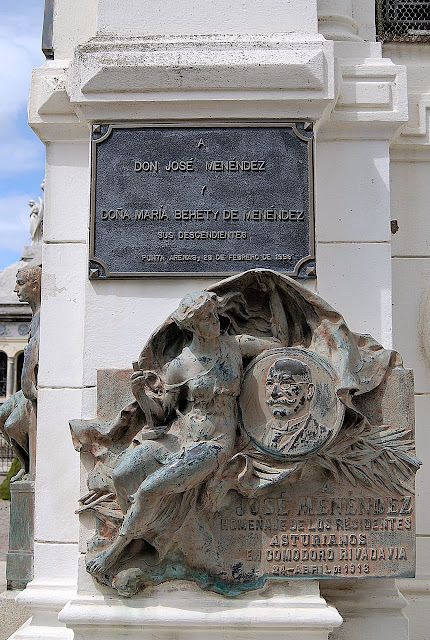 So should the fact that, when General Galtieri announced the successful invasion of the Islands, hundreds of thousands of cheering Argentines filled Buenos Aires’s Plaza de Mayo – only to turn on him after his ultimate failure to hold onto them. New from Southern Cone Travel – The iPhone App! Over the past couple months, I have been working with Sutro Travel of San Francisco to create a new Argentina iPhone app, which also works on the iPod and iPad. 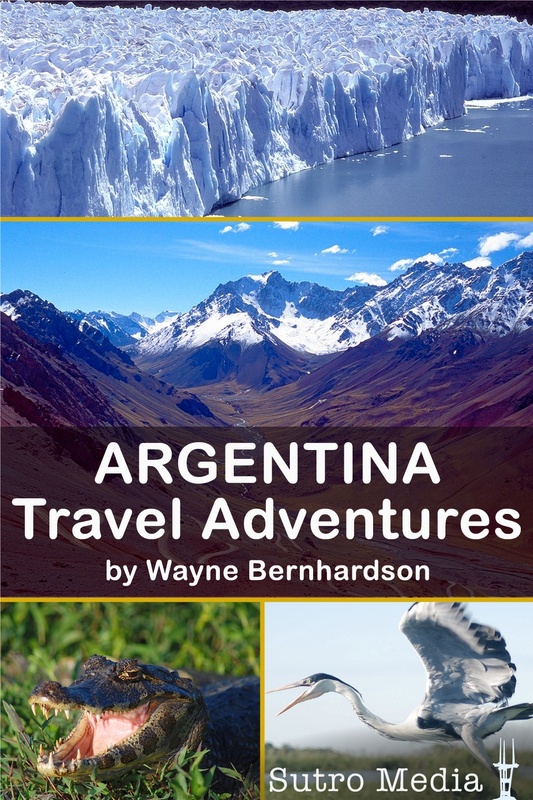 For more details, please visit Argentina Travel Adventures at the iTunes Store. At just $2.99, it’s a true bargain. 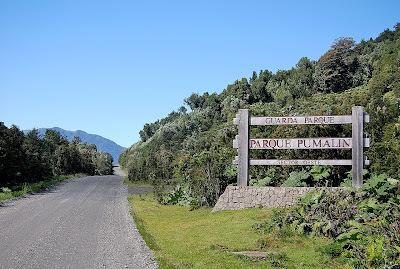 A few months ago, I mentioned the fund-raising efforts of Puerto Varas-based Jimmy Langman to launch a print version of his bilingual Patagon Journal. As I watched the deadline approach and donation pledges appeared to be barely trickling in online, I have to admit that I was pessimistic that he would garner enough funds for this worthwhile project. I haven’t yet seen a hard copy of the 80-page magazine, but Jimmy has sent me a PDF version that shows the Journal’s promising content. 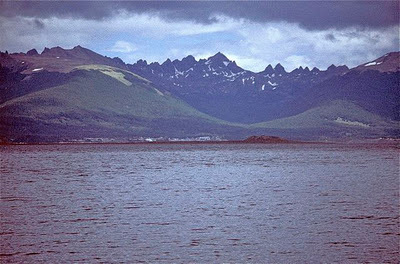 Among the stories are his own extended interview with environmental philanthropist Doug Tompkins (whose wife Kristine I have interviewed and published recently in this blog), Jack Miller’s exploration of the truly remote Cordillera Sarmiento, and Evelyn Pfeiffer’s account of the Paine Circuit’s creation. 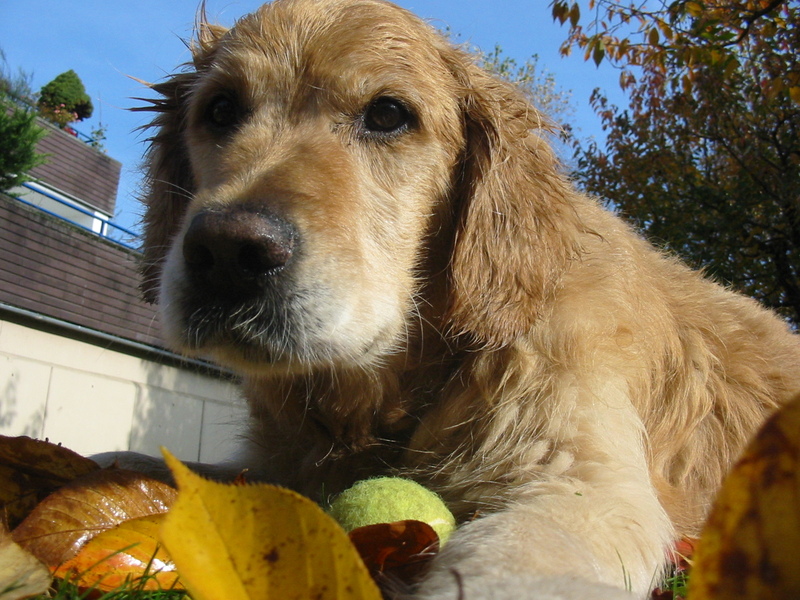 The video above, narrated in Jimmy’s Spanish, provides an idea of the content. 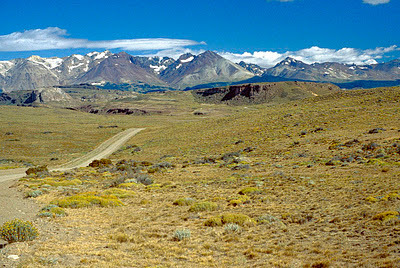 Other articles include Héctor Kol’s analysis of the salmon industry’s travails and Tim Vandenack’s tale of hitchhiking the Carretera Austral (pictured above). 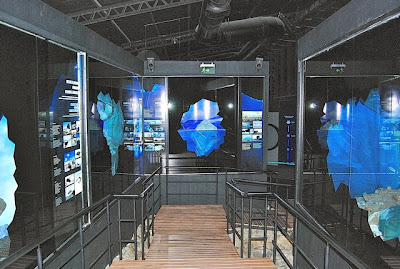 The coverage is not exclusively Chilean – as witness Península Valdés and its great right whales, the new Glaciarium ice museum (pictured below) in El Calafate, and restaurants and book reviews, plus some stunning photography. All in all, it’s a promising debut that will require dedication to expand its circulation – while the print media are still important in Chile, producing a newsstand magazine remains a demanding task. Readers can do their part by subscribing to Patagon Journal online, or purchasing it at Chilean newsstands. Disclaimer: I am a member of the Journal’s Editorial Advisory, but have no financial interest whatsoever in it. It is essentially an honorary position. 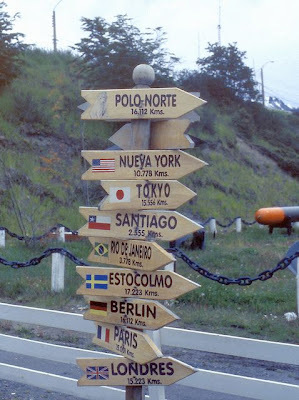 Known as Cabo de Hornos in Spanish, Cape Horn is South America’s southernmost tip, and notorious as a graveyard for sailing ships – to whose crews the wandering albatross sculpture atop Chile’s Isla Hornos pays tribute. The Cape’s original name, though, is Kap Hoorn, named by navigators from the Dutch city of Hoorn in the 17th century. 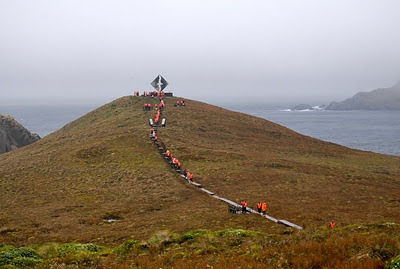 As the 400th anniversary of Cape Horn’s discovery approaches, Chilean and Dutch authorities are collaborating on a series of events to commemorate the role of sailors such as Willem Schouten and Jacob Le Maire (whose name graces the strait between the big island of Tierra del Fuego and its outlier of Staten Island; the latter was originally a Dutch name, since converted into Spanish as Isla de los Estados). At the moment, only the Chilean operator Cruceros Australis is authorized to put passengers ashore at Isla Hornos, on cruises between Punta Arenas and Ushuaia, but Argentine operators continue to hope for future access – from Ushuaia, it would be just a day trip to stand at the tip of the Americas. 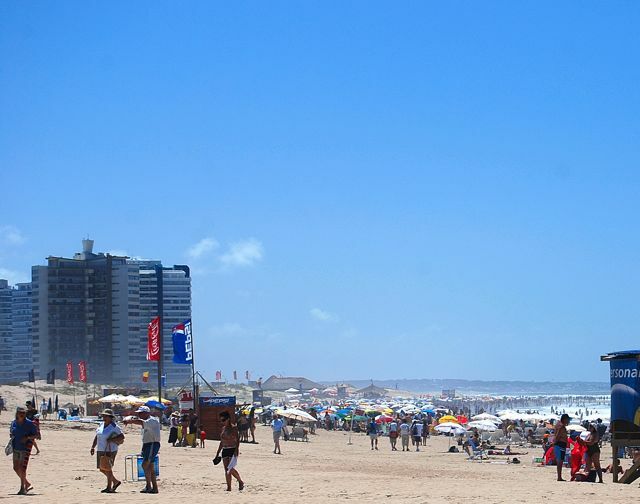 It’s the time of year when Argentines start to pack their bags for the beach and, for many of them, the beach means nearby Uruguay. Casinos, such as the one at Punta del Este’s massive Hotel Conrad (pictured below), are a secondary draw, even though everybody knows that the house always wins. 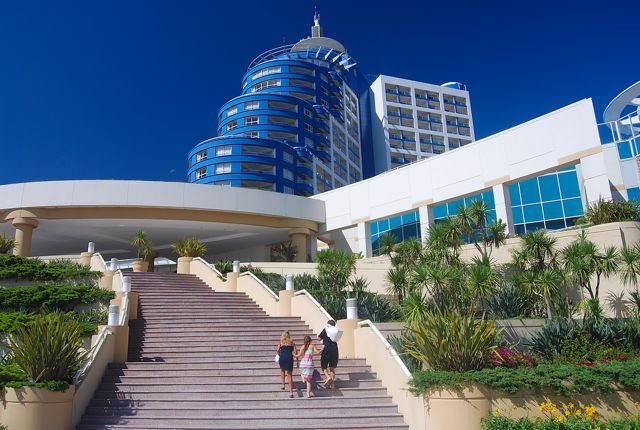 Uruguayan officials, though, are a little worried that the whole country will be a casino this summer, and that Uruguay itself will be the loser. That’s because, especially in summer, this is a country with one official currency, the Uruguayan peso, plus the semi-official US dollar and Argentine peso, which circulate freely alongside local money. 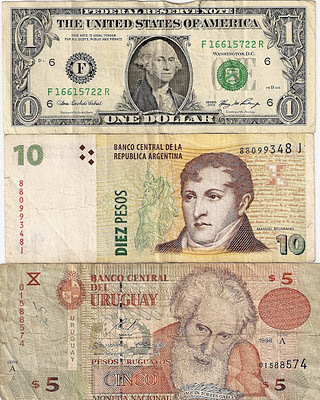 Given the recently weakened Argentine currency, whose value that country’s government has managed to maintain by strict exchange controls that may not survive in the long run, Argentines may find that Uruguayan businesses will not accept their pesos at the official rate. This could have the effect of making Uruguay 20 percent more expensive for Argentines this summer. That’s also a concern for Uruguay’s Banco Central because, at the end of the tourist season, they usually expect Argentina to repurchase those pesos at the official rate. 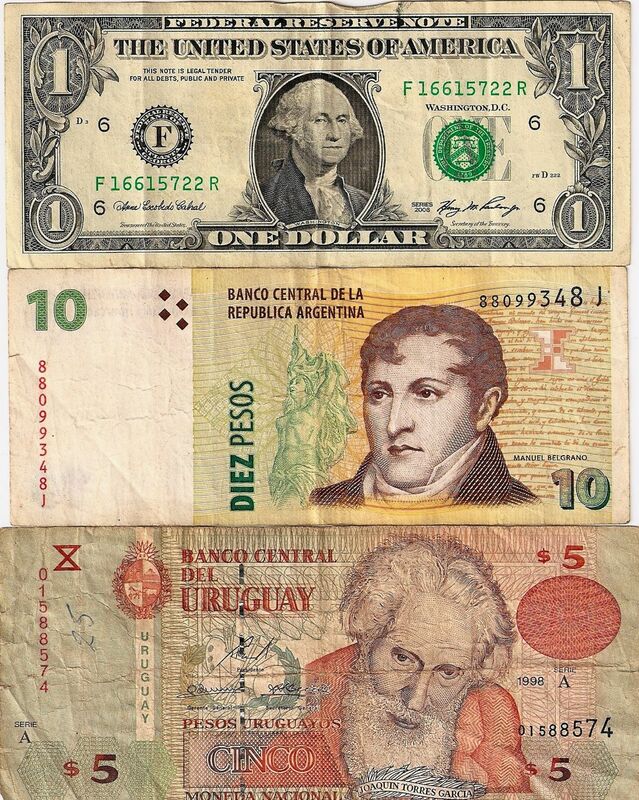 If Argentina declines to do so, Uruguay could be stuck with a gaggle of foreign banknotes whose value is eroding. 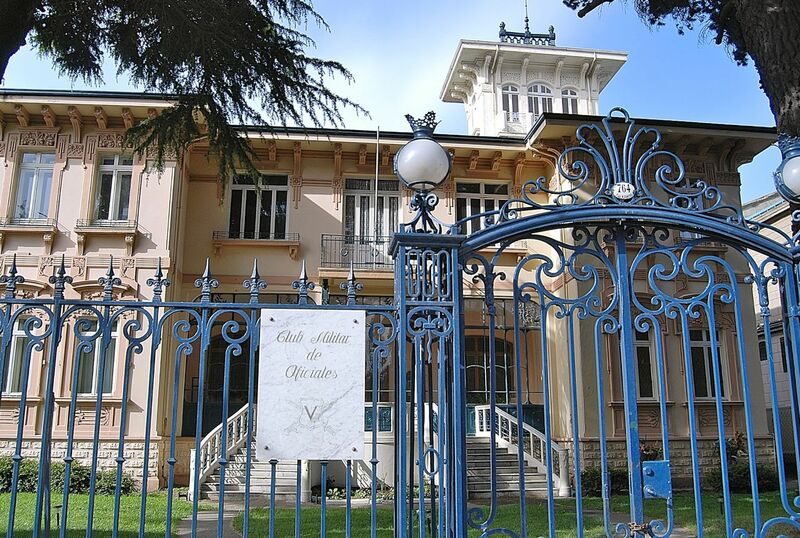 Uruguayan-Argentine relations are always a little contentious because, since Uruguay was once part of the Provincias Unidas del Río de la Plata, the former Banda Oriental (“Eastern Shore”) values its autonomy against its far larger neighbor. Argentina has more than ten times Uruguay’s population, and the Argentine capital of Buenos Aires is almost as populous as all of Uruguay. Recently, the Argentine government may have suggested that Uruguay was a de facto haven for tax evaders – in effect, a money-laundering country. Uruguayan President José Mujica refused to blame Argentina for such accusations, and vigorously denies that Uruguay is a tax haven but, in reality, it is. That’s not in the sense of moving large amounts of illicit cash but, because of its traditionally liberal banking laws, it’s long been the destination of choice for Argentines who want to move their money from under their mattress – sometimes literally – to banks that will respect their deposits. Many middle-class Argentines have bank accounts in Uruguay, which they consider far more secure for their savings. As summer approaches, though, Argentines at the beach will have to watch their pesos and Uruguayans will have to watch the exchange rate. Fortunately, for non-Argentines who can take advantage of the stable exchange rate between the US dollar and the local peso, this should not be an issue. If you have found this article informative, please consider clicking on one or more of the AdSense ads above - always presuming, of course, that it's product or service that's interests you. Don't overlook the video on travel to Britain (which requires turning up the sound). Though Chile is one of the world’s most cetacean-friendly countries, the crumbling ruins of an old whaling station on the southern outskirts of Iquique are an historical reminder that commercial whaling continued here as late as 1963. A recent discovery, though, has put all this in perspective – near the coastal city of Caldera, another Atacama desert beach resort, paleontologists have discovered a graveyard of baleen and other whales dating back at least two million years. Ironically, were it not for the tourist industry, the discovery of these fossils might have taken decades or even centuries more. That’s because Caldera is the beach getaway for the regional capital of Copiapó, about 80 km to the southeast, and has been since 1851, when Chile’s first railroad connected the two towns. 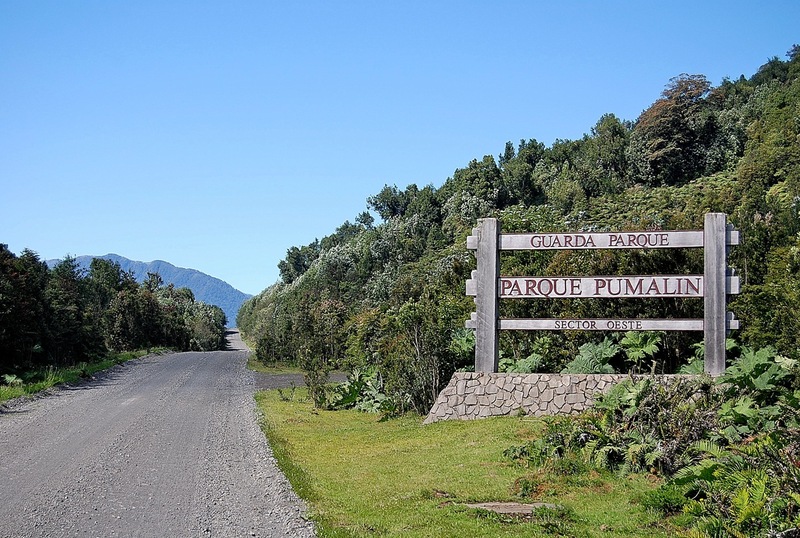 The train last ran in 1961, but a project to widen the narrow Ruta 5, the Panamerican highway that replaced it, recently unearthed remains of the whales. So far, according to researchers from Caldera’s own paleontological museum and the Smithsonian Institution, about 75 whale skeletons have been uncovered, more than 20 of them in perfect condition. Much research remains to be done, but South America’s west coast is one of the world’s most tectonically active areas. So far, speculation is that a landslide or seismic event isolated a shallow lagoon and that, unable to return to the ocean, the animals died in situ. 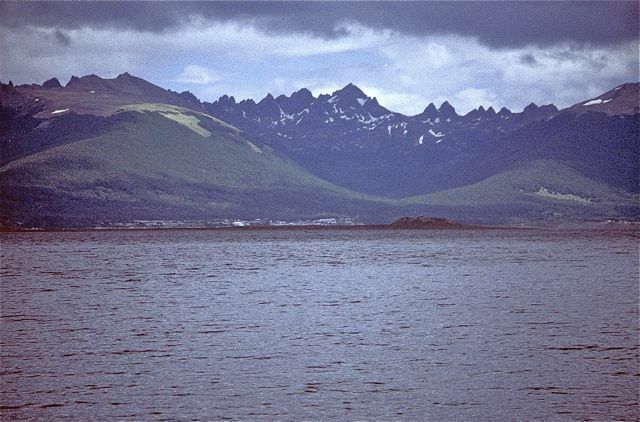 The lagoon then filled with sediments and, eventually, plate tectonics lifted the fossilized remains to their present hilltop location, half a mile inland. I haven’t visited Caldera since I last updated Moon Handbooks Chile, a couple years ago, but this extraordinary discovery has me looking forward to my return there in March. 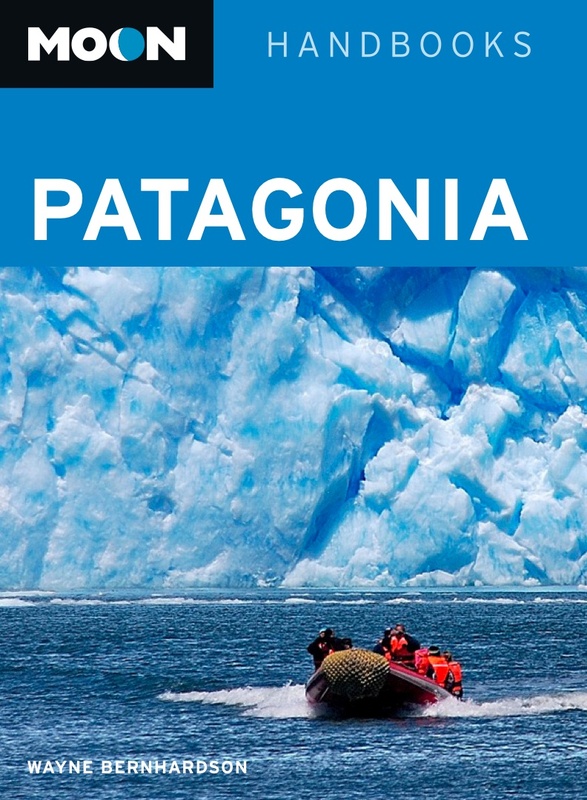 In the spirit of the holiday season, even though I’d rather be in the vastness of the Atacama, I decided to give away two copies, rather than one, of the new third edition of Moon Handbooks Patagonia to readers who answered Wednesday’s quiz correctly. I had a couple more correct answers as well, but I had to draw the line somewhere. 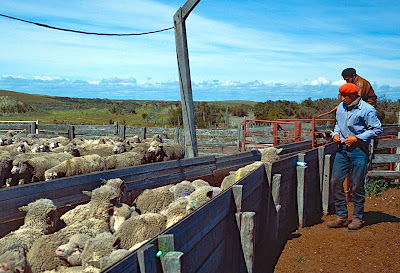 Both Suzan Apaydin of San Miguel de Allende, Mexico, and Eric Curtis of Kealakekua, Hawaii, correctly identified the wool industry as the source of Patagonia’s economic boom of the late 19th and early 20th centuries. 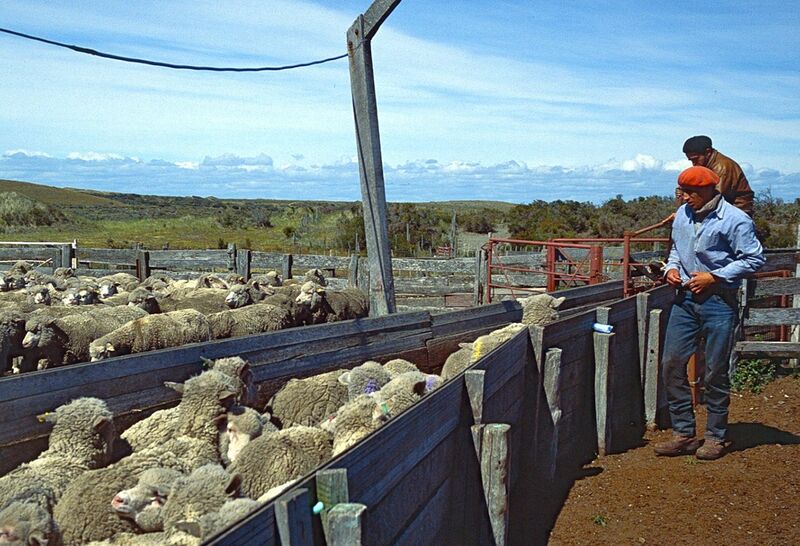 Many of the region’s sprawling sheep farms, known as estancias, still exist today, as do the mansions of Punta Arenas, then southernmost Patagonia’s de facto capital during the wool boom. To families like the Menéndez dynasty, who built their fortunes on exports that built mansions like the one above and tombs like the one below, the international border meant little – just as it may to the residents of Argentina’s Tierra del Fuego and Chile’s Magallanes region with the new “free movement of peoples” initiative. I hope Suzan and Eric will be able to make good use of their books; for those whose answers arrived too late, and other readers, keep an eye for future quizzes. If you have found this article useful or informative, please consider clicking on one or more of the AdSense links that accompany it - always presuming, of course, that it's a product of service that interests you. Also have a look at the Visit Britain video in the sidebar (you have to click the ad to hear, in addition to seeing, Dame Judi Dench's invitation to the UK).